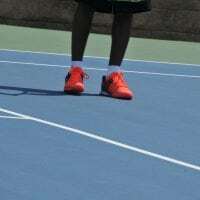 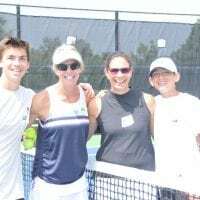 at Gates Tennis Center benefiting Colorado Youth Tennis Foundation at 9 a.m. to 4 p.m.
As an individual sport tennis teaches important life skills like self-confidence, sportsmanship and teamwork that are often transferred to other parts of life. 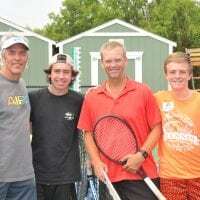 Partnering younger and more mature players in teams benefits both teens and adults. 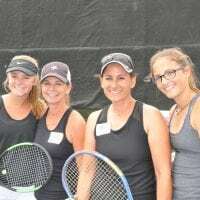 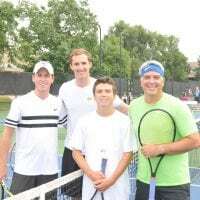 And so it was experience and talent that kept the action going all day for the 19th Annual Punk Relic Charity Doubles Tournament, a popular annual fundraiser benefiting the Colorado Youth Tennis Foundation. 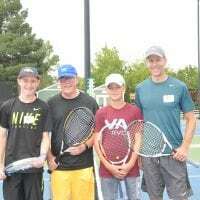 The young teens (Punks) and adults (Relics) met on Sunday, August 19 to compete for best team in various categories. 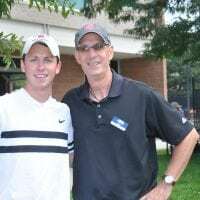 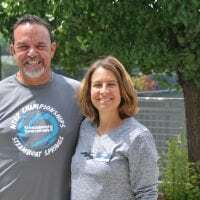 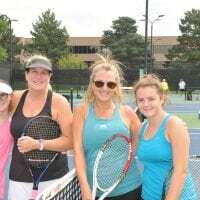 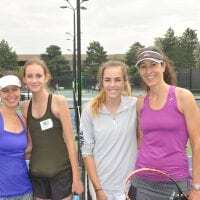 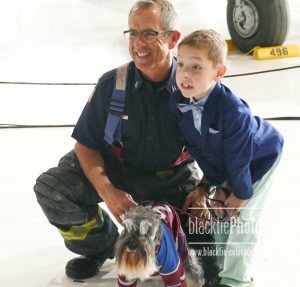 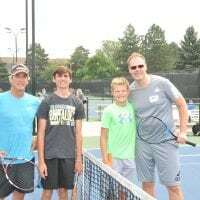 The event, held at the Gates Tennis Center in Denver’s Cherry Creek neighborhood, raises money for the Colorado Youth Tennis Foundation Memorial Funds, which provide tennis opportunities to kids across the state. 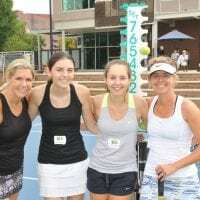 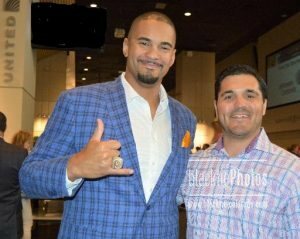 At this fundraising event, adult/junior combined teams of similar ability levels to compete against one another throughout the day. 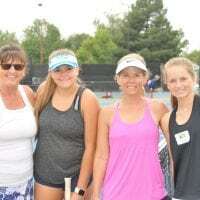 Flight winners advance to finals competition and a chance to take home the title. 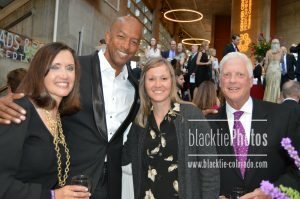 Among the special features of this event are OOPS! 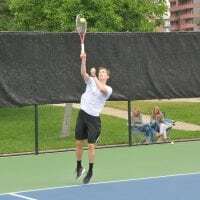 DO OVER tickets which allow a team the chance to replay a point in which they commit an unforced error. 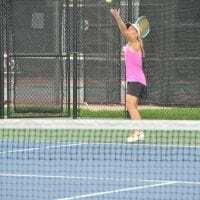 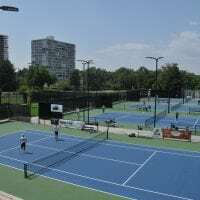 The friendly tennis competition was played in the shadow of the Joan Birkland Pavilion, named after one of Colorado’s greatest all-around athletes. 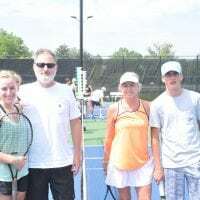 Birkland, now 89, earned multiple titles in women’s amateur tennis and golf championships at the city and state level. 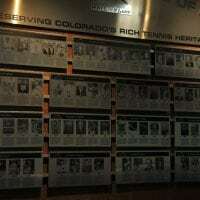 She was inducted into the Colorado Golf Hall of Fame in 1977, the Colorado Sports Hall of Fame in 1981, and the Colorado Women’s Hall of Fame in 1996. 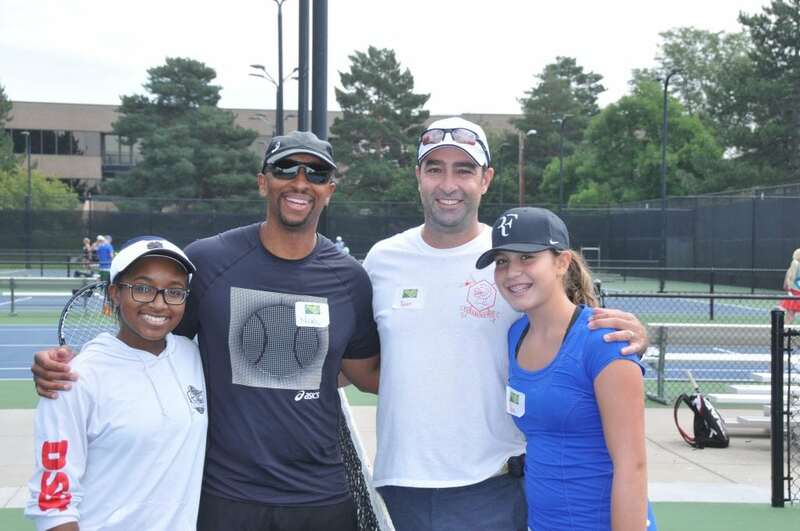 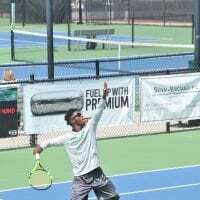 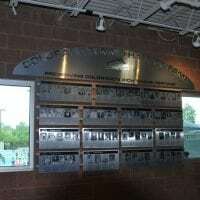 Established in the 1960s, the CYTF is the fundraising arm of USTA Colorado and promotes the physical, emotional and social development of all youth to aspire to become active productive and responsible citizens. 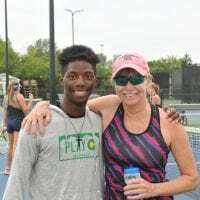 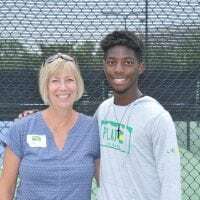 By providing individual player scholarships and program grants to kids and organizations, the CYTF ensures that juniors from small rural towns and from larger metropolitan areas benefit from the lifelong sport of tennis. 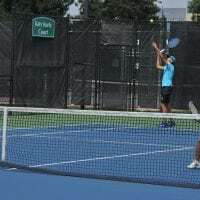 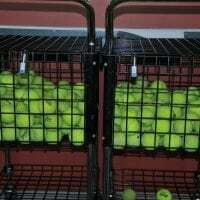 For more information please visit: www.colorado.usta.com or call 303-695-4116. 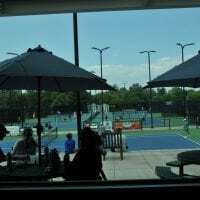 A beautiful day in Denver for tennis!